Ahhhh. Summer…. A needed respite from the hectic school year schedule. No more homework, no more projects, and no more packing lunches (which I will NOT miss one day). Summer at our house is about making memories, keeping traditions and reconnecting with family across the country. NEVER TOO BUSY FOR A PERSONALIZED HELLO! Everyone is busy, but we didn’t want to let the summer slip by without a Personalized Hello with our combined July / August edition. Means more family time and summer fun! Whether your summer is spent camping, beaching, traveling, roller coastering, fishing, swimming or chilling, I hope you enjoy these beautiful summer days and make special memories with your family. For me, I willI will relish these days, every moment. At least until mid-August when you hear the squeal of my tires peeling out of the school parking lot as I drop off my kids for the first day of school! Recently, I have become involved with an organization called The Purple Project, which was born out of a mother’s grief, after tragically losing her daughter and her unborn granddaughter. This mother’s love for her child and grandchild, and her experience with grief, propelled her to create a mission to spread love and compassion in the world around her. The Purple Project provides needed emotional and financial support for single mothers and their newborn babies so that they can become a successful parent. 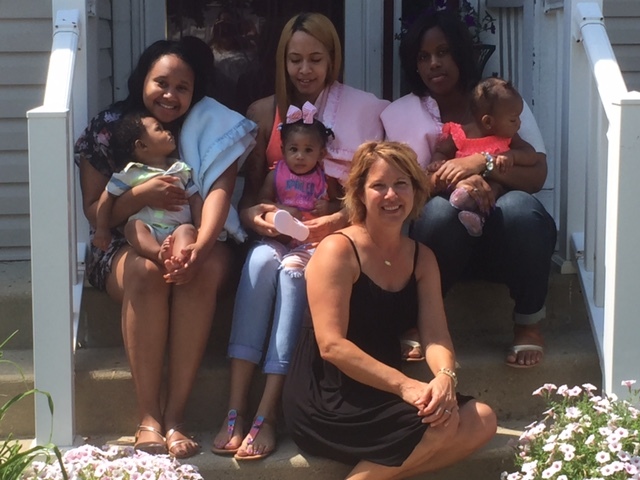 Sherry conducts annual baby drives to raise money and purchase basic baby supplies to support these new mothers for one year. The Purple Project hosts an annual Night of Hope in August to support other grieving parents who have experienced loss. In honor and support of the Purple project mission, 10% of all sales during July and August will be donated to the Purple Project. Thank you for your support!